Firstly, allow us to explain exactly what it is we do. We are a MIXED – martial arts Dojo. We teach various techniques from various styles of Martial Arts and have through the years developed our own Hybrid Martial Arts Training System. At The Academy we teach HYBRID MARTIAL ARTS. 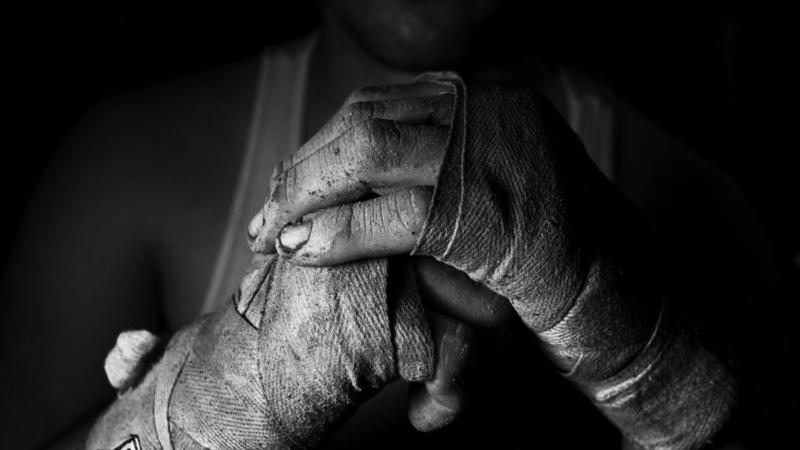 Our STAND UP/STRIKING program includes advanced tuition in BOXING, KICKBOXING & MUAY THAI. From there we move to ADVANCED “SHOOTING” (The art of Takedown’s) where after we incorporate only the best and most effective GRAPPLING & GROUND COMBAT Techniques utilising SELECTIVE JU-JITSU styles, RUSSIAN SAMBO & Specialised Techniques designed by & Unique to the Academy. 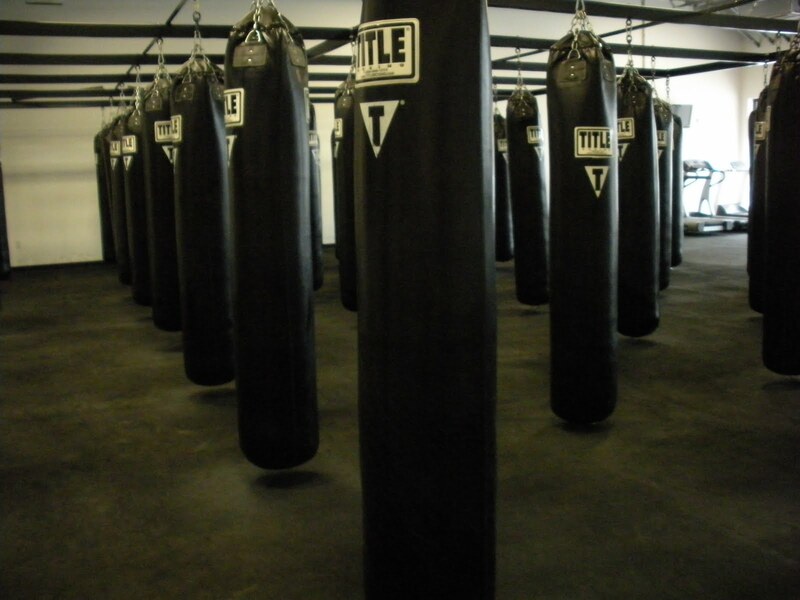 Training/Exercise Drills & Pad Work are a few of our Specialities! WE ALSO INCORPORATE SELECTIVE TECHNIQUES FROM Aikido, Hapkido, Filipino Arts & include Khali (Stick Fighting) training due to its practical application in real world environment. We specialise in Hybrid martial arts. We take the best techniques from various styles which lends itself to our philosophy of martial arts. No one particular style is given preference. To use Jiu Jitsu as example, we utilise techniques from the Brazilian, Russian and Traditional Japanese styles. It’s all good! It is important to understand that the NMA does not restrict you from training with other specialised Dojos who master any one particular art. WHITE / YELLOW / ORANGE / GREEN / BLUE / PURPLE / BROWN 3-2-1 / BLACK BELT / Dan gradings thereafter. Although we cater for serious competitors and Full Contact Fighters, our majority members are there to learn an art, fitness and light contact training. We do not allow excessive contact and protection is utilised at all times. During class sparring sessions only touch contact is allowed to the face. No touch contact is allowed for lower grades and beginners Ladies and children till the instructor allows it. The point we are making here is don’t get confused with what the Academy offers. 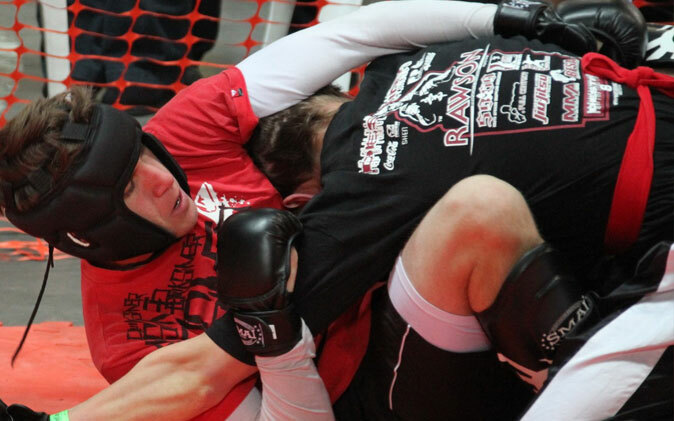 Although we do a certain amount of MMA fighting styles, predominantly we are a true Mixed – Martial Arts Organisation. In laymen’s language, we teach a Hybrid combination of several martial arts. It is the focus of Shihan Paul and the NMA to offer the student the ability to learn and cross train in many arts in order to give the student maximum value and maintain a high level of interest. IMPORTANT! Although the Academy incorporates many aspects of Martial Arts and grades students using them, the grades are sanctioned by certain International Organisations for specific arts and Nationally through NMA/ISKA South Africa for other arts. Our system incorporating BJJ / Traditional Japenese JJ and Russian Sambo although at times consisting of the same techniques is our own Hybrid version. We do not lay claim to any specific grade to any specific style. We are far to open minded to follow that path. If you want a specific grade in B J-J then for now, you would have to train at both our Dojo and a sanctioned B J-J Dojo. We will be glad to point you in the right direction. This does under no circumstances undervalue what we teach! As for Aikido, we utilise mainly specific throws, counters and defensive techniques we found to have been highly effective in real world situations rather than only on a dojo floor. We do not teach specific syllabus on Aikido alone. We incorporate it into our training as is the case with some of the other added styles and forms. SHOOTING: Being an all rounded fighter able to take the challenge to the ground is limited only by your ability to close the distance and take down your opponent. This specialised and highly interesting art is often neglected by other clubs. NOT SO WITH US! It is placed high on our agenda. GROUND: Learn our own HYBRID Jiu-Jitsu system utilising selected techniques in Japanese/ Brazilian J-J & Russian Sambo. We utilise advanced techniques & Drills for both Sport & Defensive levels. Striking from Ground Position is also one of our specialities. WEAPONS: Kali is our weapon of choice to teach. Its Filipino history in Stick Fighting is legendary. The reason for this choice is because it’s practical! Even without a kali in your hands, the techniques can be applied in hand to hand close quarter combat. Knife fighting is also taught to senior grades. OTHER: We also include techniques from Aikido/Hapkido for its specialised throwing & defensive systems as well as utilise several Filipino styles known for their proven effectiveness in close quarter combat. Some Traditional Goju is also used but NO KATA! STREET DEFENCE: We also teach our own form of self defence labelled “Street Defence” and specialise in Filipino arts for close quarter combat and weapons. The Academy choice of weapon is the Khali (Short Stick or Stick fighting) we use this form of weapon as we feel it is the most effective choice in today’s modern times and it is easy to keep close to you or carry. Training in knife fighting is only taught to senior adult students at specialised training sessions/seminars and is based as a combination of knife to knife fighting and personal protection. The Academy experience combines realistic training using only the most modern techniques and taught to you in a way which will evoke a passion for the sport! Our principle aim, the cornerstone of the Academy’s mission statement today, was to be recognized as a global brand that consistently delivers quality tuition, ground breaking new methods in teaching and always pushing the boundaries in the process. In short, to change the way the world thinks about Martial Arts. Unfortunately Traditional Karate has changed or evolved little over the last 800 years. Now don’t get me wrong, my foundation is that of Traditional Goju Karate. I have trained in the style since the age of four under some of the most qualified instructors east and west, through the years earned my degree and competed several times all over the world in both Traditional fighting and kata tournaments. I will never leave that place in my soul which carries my history and tradition. Instead, I chose to seek more knowledge, improve my skills as an all round fighter and develop further as Instructor for the students benefit as Martial Artists. 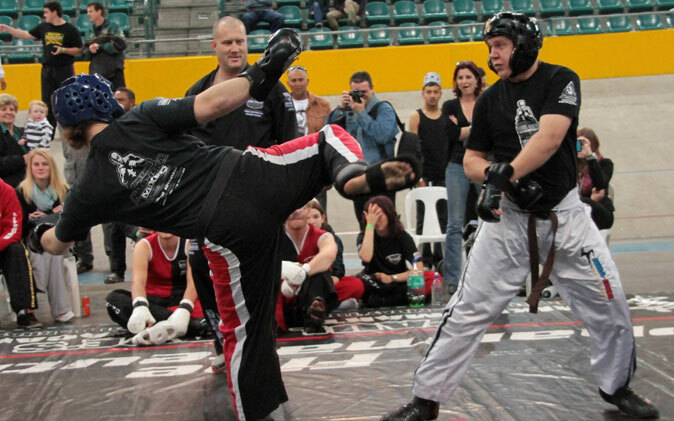 It is important to know that 15 years ago mixed martial arts was unknown in SA. We as part of kickboxing and sport karate were travelling all over the world including the USA and bringing home these new concepts. 90% of all confrontations end up on the ground! Unless you have been schooled in Jiu-Jitsu you will always be limited in what to do once on the ground. Your immediate survival thought is trying to obtain a neck lock or strangle hold which is due to years of “play ground brawl at school”. But if trained, an arm bar or joint submission is not only far more effective but absolutely the most painful physical experience your assailant will ever know. However, from a defensive point of view, in the streets it is your primary goal to stay on your feet at all times! Even if you are the best Grappler in the world, nothing can help you should you be tussling with one opponent whilst several others attack you out of nowhere. Boredom is banned from our classes! You won’t find another Dojo/Organization like this anywhere in South Africa. There are many different schools, each offering their own benefits etc. What we are best known for are practical and workable fighting skills based on cutting edge methodologies & learning techniques. We are NOT a Traditional Martial Art. We do not teach Kata’s. What we do offer, are cutting edge training methods that allow you to make maximum gains in the shortest possible time. We provide you with real skills that work in the real world and do so via proven methods in a safe but disciplined environment. Utilising old and new school drills, drills become painfully fun and you make progress in fitness and stamina without knowing it. Even our exercises are unique and designed to work multiple muscle groups. We proud ourselves on our specialised partner drills which are also allot of fun to experience. The NMA is currently represented throughout South Africa with over 76 affiliated & sub affiliated Dojo’s. Anyone can join! Be it an individual, small club or Organization, we accept you! We don’t interfere with your own style and put no demands on you other than supporting the NMA at the National Tournaments. You gain the most by your students being able to be selected to travel overseas to compete in World class Tournaments and we do all the hard work. We also offer assistance from anything like having our own company manufacturing equipment and uniforms, to assistance with Gradings, Book keeping, Marketing & Advertisement and of course being available for seminars in every aspect of what we teach. We have a zero tolerance policy with regards to members being challenged, hurt or dominated by fellow students. Our Dojo Motto/Creed is “we are here to train with one another, not against each other” There is absolute no over focus on competitive students. All our students are treated with equal respect. Our grades are recognized internationally and we compete locally, nationally and internationally every year under the ISKA affiliation. Our training is hands on and all Instructors are tested and licensed annually. Shihan Paul is currently the president of ISKA South Africa. His colleague and lifelong friend Shihan Phil Anderson is the Vice President to ISKA SA. ISKA is recognized as a world leader in Sport Karate/Kickboxing and MMA (strike force on ESPN). It is the only organization to be televised worldwide on the ESPN network including here in South Africa. 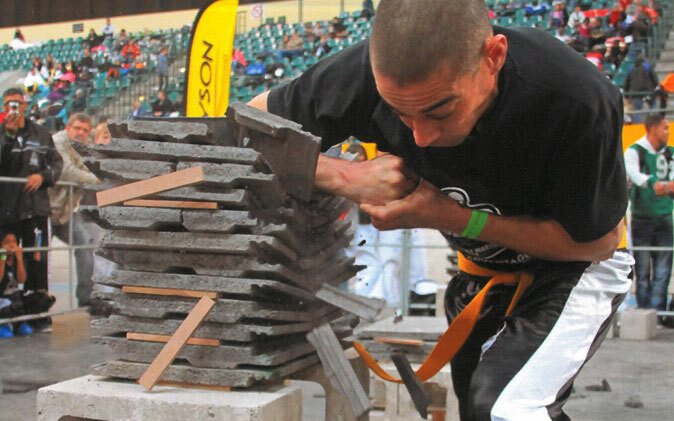 The NMA selects a team each year to participate at the ISKA World Championships billed as the US Open in Orlando, Florida. Over 4000 competitors enter from all over the world. $ 40 000 in cash and awards are handed out, and with trophies for 1st – 8th place, nothing compares to it. Up to 90% of the world famous Team Paul Mitchell comes from ISKA. 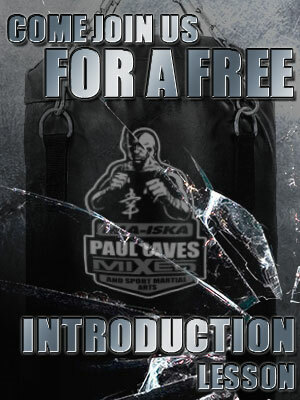 ISKA is modern, dynamic and original. We have divisions which no one else has including Breaking, Unison Kata – both traditional and Creative, Self defence Team events, light contact and Continuous fighting, Light continuous low kicks, Xtreme Kicking Challenge and of course the Grand Championship Divisions (all Black belt winners compete against each other regardless of weight. Our annual Tournament in SA billed as “DESTINY” and takes place each year during August in Cape Town. Check out the DESTINY link on our home page. All students from all styles are welcome! You need not be affiliated directly to the NMA. 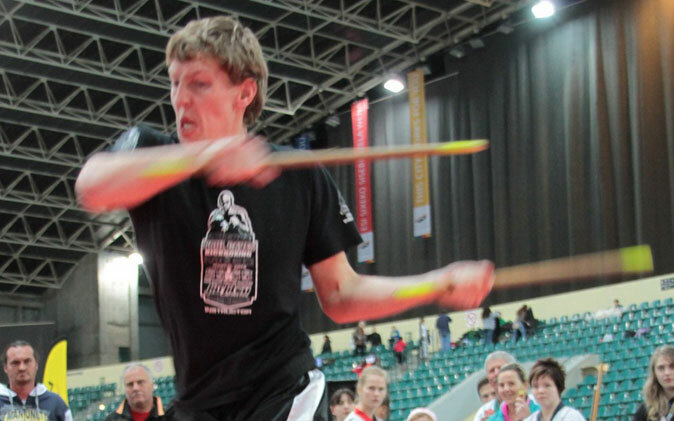 The NMA/ISKA is registered with MAGC (Martial Arts & Games Committee of South Africa – MAASA) and SASCOC. We have our own block under Sport Martial Arts of which Shihan Paul Cave is the Chairman. The NMA/ISKA is the only government recognised organisation which has the authority to select teams for official colours to represent SA for Sport Martial Arts at International Level. For now if you need any information on these Dojos please email the following address offering all details including your suburb and the city you live in and we will return your mail with all the necessary information.